The health care law of the land has survived for now, but it needs help – and it needs it soon. Assurances don’t look to be coming anytime soon. “As I said from the beginning, let ObamaCare implode, then deal. Watch!” President Donald Trump tweeted Friday, soon after the Senate narrowly rejected the latest push to dismantle the Obama-era health care law. Health and Human Services Secretary Tom Price said in a statement after the Senate vote that the administration would pursue its health care goals through regulation. 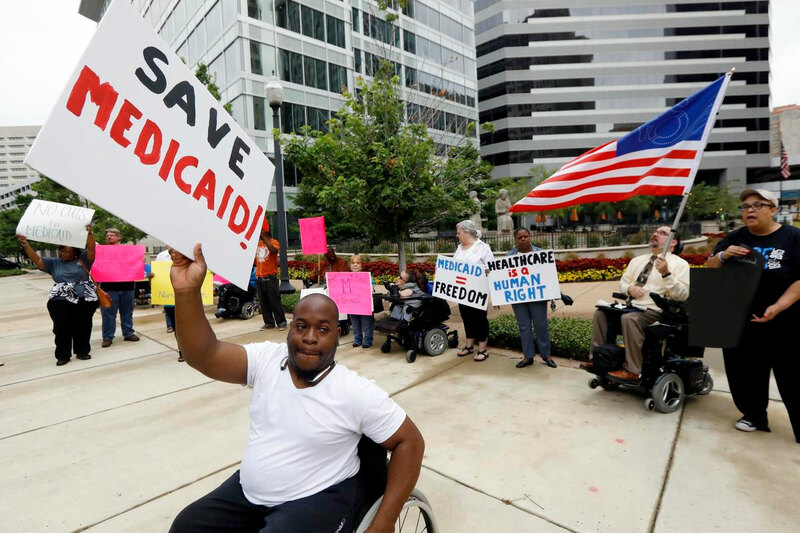 Their main concern now is that the administration will stop paying crucial subsides called for in the law that help reduce costs like deductibles for people with low incomes. The subsidies, estimated at $7 billion a year, have been challenged by Republicans in court, and Trump has only guaranteed them through this month. Starting in 2014, members and their staffs had to use federal or state health care exchanges instead of the coverage that is available to most government workers. Most members who use the coverage buy it off the health care exchange created by the District of Columbia. They also collect subsidies from the government if they use the district’s exchange. Members aren’t required to use the coverage. Some get health insurance through a spouse, for example. But those who make too much to qualify for that help – and tend to vote Republican – could get hit hard, noted health care consultant Robert Laszewski, a former insurance executive. Insurers have until the middle of next month to finalize their 2018 prices, industry officials say. They must leave enough time for the rates to be submitted to the marketplaces, and then for the online exchanges that sell the coverage to be tested before enrollment for next year’s plans begins on Nov. 1.